Cody Larsen to appear in his first NFL game today when the Baltimore Ravens take on the Tampa Bay Buccaneers at the preseason opener. Look for Larsen in the second half. 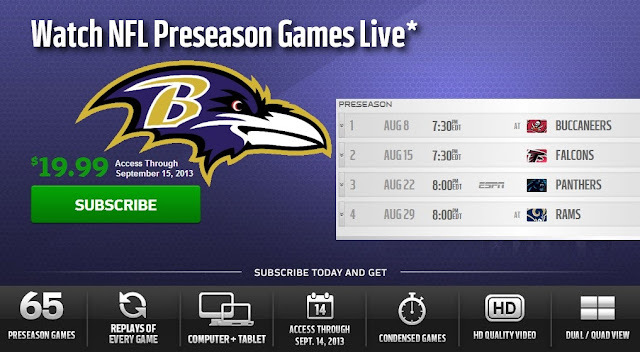 You can watch all NFL preseason games online or on your mobile device with NFL Preseason Live. Use promo code: F6J94MDGXFFN to get 10% off.